The short answer is "Yes." The presence of heavy-duty cargo in a truck can contribute to causing an accident with a truck in a number of ways. When the cargo is not balanced or properly secured, it can become difficult to control at high speeds and can become dangerous enough to cause an accident. 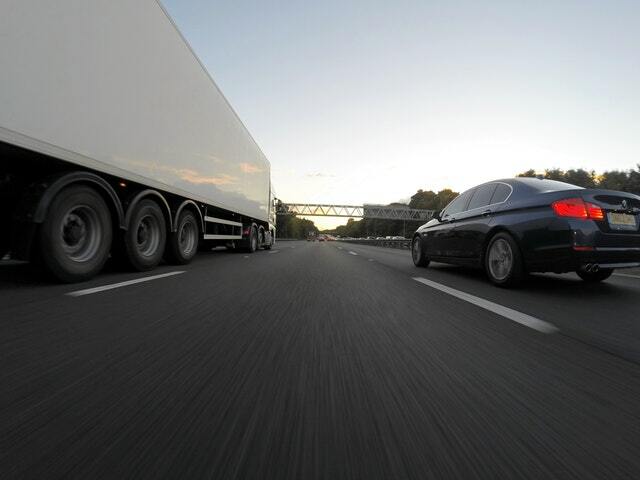 While many truck accidents are caused by driver negligence, it is still important to investigate whether a truck’s cargo contributed to the crash. If it did, this fact will impact how a truck accident attorney will pursue your legal case and claim for damages on your behalf. If you are injured in a truck accident, our Kansas City truck accident lawyer can determine if the truck cargo contributed to causing the truck crash. If so, he will seek to identify all potential parties who are responsible for loading and securing the cargo and seek to hold them accountable for any damages and resulting injuries from the truck crash. Hazardous substances like acids, gasoline, and all sorts of flammable chemicals or explosives can be very dangerous in a truck accident. If there’s a spill resulting from a rollover or head-on collision, these chemicals can cause explosions and fires to break out that can be worse than the crash itself. A spill of flammable liquids and resulting fire can also expose people around the crash to toxic fumes and burns, which can result in long-term injuries and scarring. Non-hazardous materials in a truck accident can also be dangerous. These materials include heavy construction equipment, other vehicles or any large items. These items may become insecure in a crash and cause severe injuries to anyone present at the scene. For these reasons, after a truck accident in Kansas City, it is important that a Kansas City truck lawyer investigate the causes of the accident and determine whether negligent loading of the truck may have caused or contributed to the cause of the truck accident. The federal government agency responsible for regulating and providing safety oversight of commercial motor vehicles is the Federal Motor Carrier Safety Administration (FMCSA). The FMCSA develops and enforces certain regulations to make sure cargo is safely secured and transported by truckers. Not interfering with the driver’s ability to move his or her arms or legs. If you or a loved one were injured in a truck accident, our Kansas City truck accident lawyer can examine the investigation reports and facts surrounding the truck accident to determine if any such regulation was violated. If a truck accident results in a cargo spill, a variety parties may be at fault. The truck driver may be liable if he or she does not inspect the truck and its cargo as required or if he or she fails to identify or remediate any issue with the cargo prior to driving. If a truck company supervises the truck driver and other semi-truck, they might be at fault for the truck accident as well. In addition, if another company was responsible for loading the truck, that company may be at fault if it failed to properly load the cargo and this led to an unbalanced or unsecured load that caused the accident. Lastly, the manufacturer of the trailer that was carrying the load or the equipment used to secure a load may be at fault if the trailer or other equipment used to secure the load was proved to be defective. Crashes involving trucks and commercial vehicles are much more complex than a typical car accident. They usually involve multiple parties, more complex circumstances and cause more damage and injury. For this reason, if you were injured in an accident with a truck in Kansas or Missouri, it is critical that you speak with an experienced truck accident attorney as soon as possible. Our Kansas City truck accident attorney is ready to assist and can help guide you as to what next steps you should consider to obtain the maximum compensation for your injuries. Please contact our Kansas City truck accident attorney today for a free, no obligation consultation by calling 816-203-0143 or using the form below. We are ready to assist you.